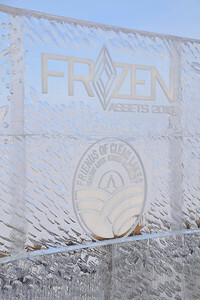 CFL participated in The Edgewater Hotel's Frozen Assets Festival & Fundraiser 2016. 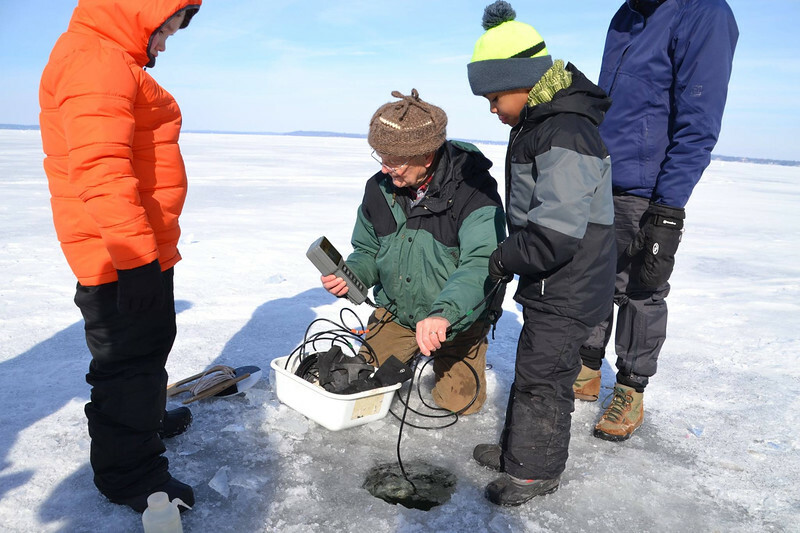 Funds of $151,000 go towards efforts to reduce phosphorus to our local lakes - each pound of which equals 500 pounds of algae that aren't growing in our lakes. 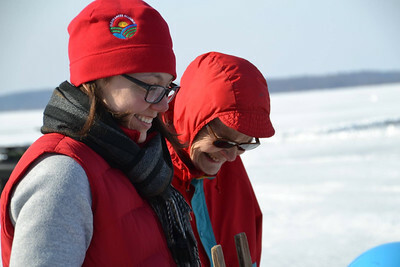 CFL Grad Student, Samantha Oliver and Norma Magnuson enjoying ice science lab. 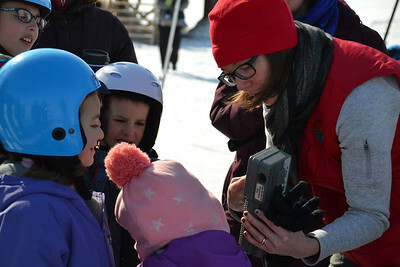 Norma Magnuson looking at ice critters with future scientists at the ice science lab. 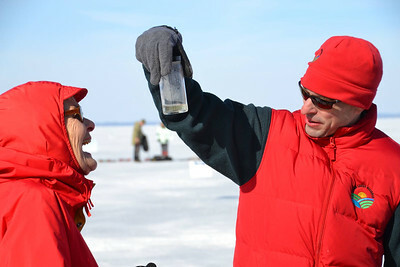 Getting ready to test temperature at the ice science lab. 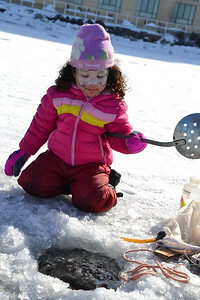 A young scientist clears the water of ice to prepare for tests at the ice science lab. Professor Emeritus of Zoology	and Director Emeritus of the Center for Limnology shows future scientists testing equipment at the ice science lab. 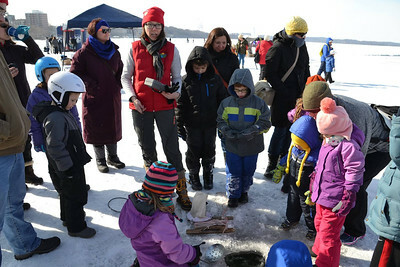 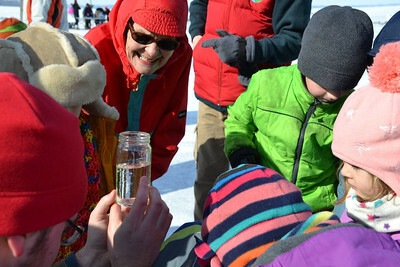 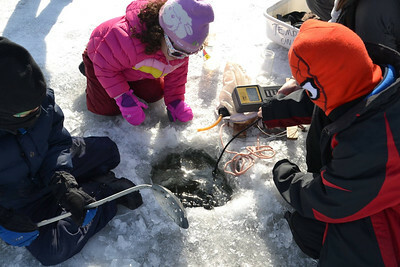 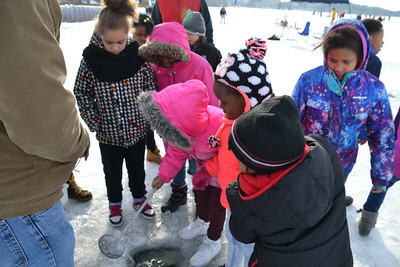 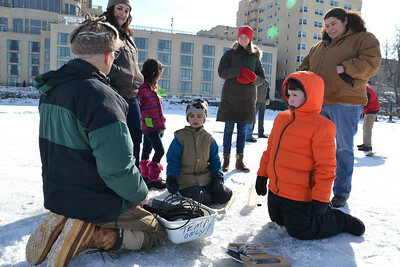 Professor Emeritus of Zoology	and Director Emeritus of the Center for Limnology showing future scientists how to test the waters at the ice science lab. 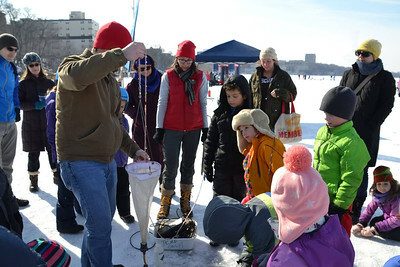 Spiderman and friends test the waters at the ice science lab. 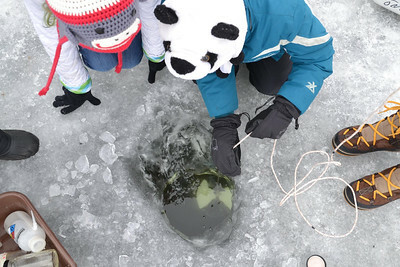 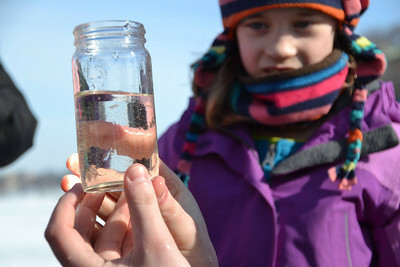 CFL Grad Student, Samantha Oliver exploring the world under the ice with future scientists at the ice science lab. 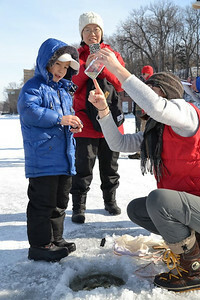 CFL Grad Student, Samantha Oliver, showing how to test temperature under the water and in the air at the ice science lab.